With these three types of outdoor lighting, your home will look better and feel safer than ever before. 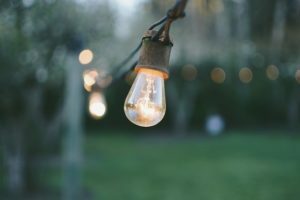 Outdoor lighting may seem fairly straightforward, but there actually is a lot to consider when finding the best ways to illuminate both your landscape and your home. With the right kinds of fixtures, you can transform your outdoor space into an enchanting landscape. The right kind of lighting will allow you to utilize every inch of your yard at all times of the day. With these three types of outdoor lighting, your home will look better and feel safer than ever before. Ready to Illuminate Your Summer Landscape? Outdoor Lighting with Aqua Bright! If you’re ready to create an enchanting landscape with outdoor lighting, Aqua-Bright can help. With a little bit of well-planned illumination, you’ll get so much more out of your lawn, yard, and home. When we come out to install your system, we will tailor it to your needs and make sure that you know exactly how to use it. This entry was posted on Thursday, July 19th, 2018	at 4:40 pm	. You can follow any responses to this entry through the RSS 2.0	feed. Both comments and pings are currently closed.